WE ARE GROUNDERS (Part 2), the big, bad Season One finale of the CW's sci-fi drama, The 100, was a massive undertaking on all fronts. From the writing, directing and acting, through production and all the way through every aspect of post production. 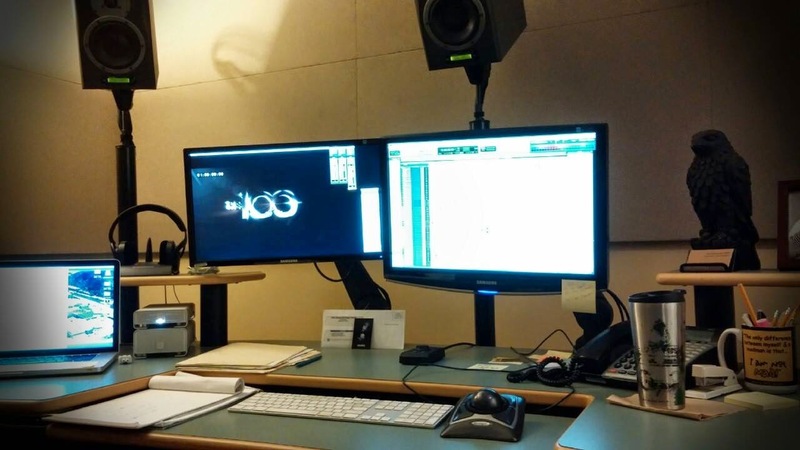 After watching the show last night, I thought I'd take a moment and share some of what the Warner Bros. sound team and I went through in order to bring this ambitious episode to sonic life. If you haven't watched The 100 yet, the following paragraphs will contains some SPOILERS. If you have watched, then please read on! The 100 presented us with a massive challenge on both the creative front and on a time management level. With approximately six days allocated for editorial on each episode (before tearing through a two-day mix), our team faced the grueling and exhausting undertaking of developing the sonic themes of the series, while sculpting and heightening the sonic drama that unfolds chaotically within each episode. Every episode was huge in different ways. We faced violent crash landings, acid fog, physical enemies of all sorts, booby traps, hallucinogenic fruits and nuts, rocket launches, hangings, lynching, torture and executions, biological warfare, crude surgeries with primitive tools, bone crunching fights, electrical explosions, concussive bridge explosions, wily machine gun fire, bow and arrow attacks, and a slew of other sound-heavy insanity. Up until Episode 109, one of our biggest theme-based sonic challenges had been to followed the decline and eventual "death" of the Ark (the orbiting space station where humanity settled after a cataclysmic nuclear fiasco), as well as designing a haunting soundscape for the alien-but-oddly-familiar setting of Earth. The Ark was plagued with system malfunctions, power surges, ventilation failures, straining physical components, and a concerned and panicked population to boot, and a thick combination of backgrounds and group ADR played a major role here. Similarly, backgrounds and ADR were also vital components on the ground, given the fact that the one hundred active and curious juveniles were experiencing Earth for the first time. However, Episode 109 was a huge turning point for The 100. Mutineers hijacked the Exodus Ship and blasted away from the Ark, completely crippling the Ark, its people and its future. By this point also, everything on Earth had gone to hell. Every bad decision carried ridiculously major consequences, particularly the failed "peace talks" with the Grounders. War was inevitable, and it came in Episode 113. WE ARE GROUNDERS (Part 2) was by far the biggest episode of the season, not just for the obvious onscreen reasons, but also for our concerted effort to manage our budget against the allotted number of editorial shifts while knocking the show out of the park. Our crew was tight, focused and excited to tackle this big show despite the taxing schedule and mounting pressure to wrap up the season with a bang. The entry and break up of the massive Ark. Many stations exploded, disintegrated and blew apart into hundreds of fragments. The remaining members of the original hundred juveniles busily and frantically prepare to face the approaching army of Grounders. Lots of heavy FX/Foley and ADR prep to sell the fear and chaos. Radios, walkie-talkies, intercoms and other communication devices. Lots of prep in FX for squelches, radio interference and hash. Our ADR sessions also included recording the actors and group performers through walkie-talkies as well as with a clean signal. Lots of perspective and intercutting throughout the episode. A massive and barbaric battle. 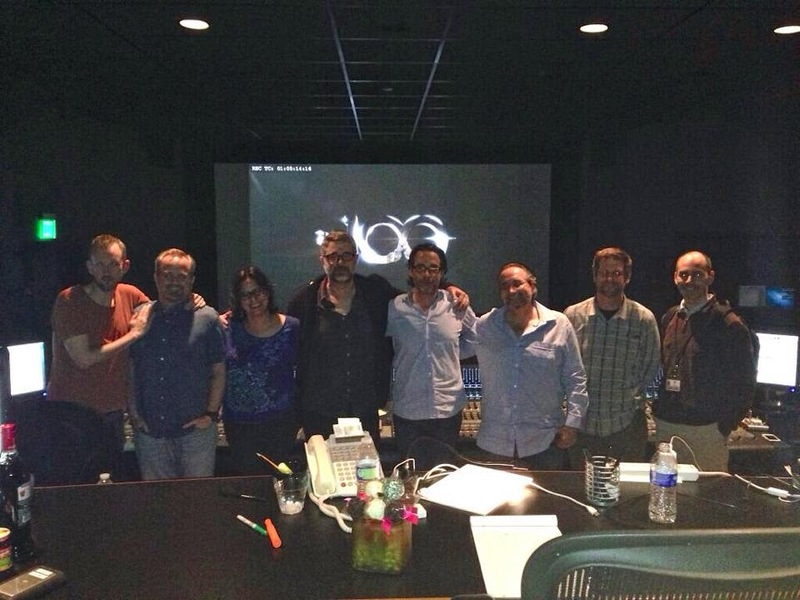 Our group ADR sessions for this (as well as the previous episode) are of particular note here, as we took precise care to create two distinct vocal stylings to distinguish between the wild, cannibalistic and terrifying battle cries of the Reapers and those of the deadly Orc-like Grounders. The battle also required heavy amounts of Foley, sound FX and design, of course. Rusted, heavy swords, primitive yet punchy bows and arrows, and lots of hand-to-hand combat elements were crucial. Abby experiencing Earth for the first time. It's beautiful, unlike the events of the previous Act (and the previous 11 episodes). Though sound effects and ADR played prominently throughout this episode, I'd like to give big kudos to this episode's music, which played an equally huge part in bringing forth the emotional core of this story. We made every effort to feature music during the mix, particularly during the poignant and intimate scenes, and again during the heightened battle sequences. Given the pressed, no-room-for-mistakes schedule, waiting for visual effects to be delivered became the second biggest obstacle on this episode. The visuals we received early on in the process were too crude to cut to, yet we began to build conceptual elements that helped create a solid yet turbulent basis for what was to come. Final VFX arrived late during our second and final day of the mix. Despite it all, spirits remained high during the home stretch of the show, and the clients went away extremely happy with the end result. Working on this series was not only an incredible challenge for me, but also a blessed milestone in my career. I am absolutely grateful to Charlie Crutcher and Warner Bros. Sound for bringing me into the fold, and I look forward to sharing in next season's adventures of The 100. Happy Summer!